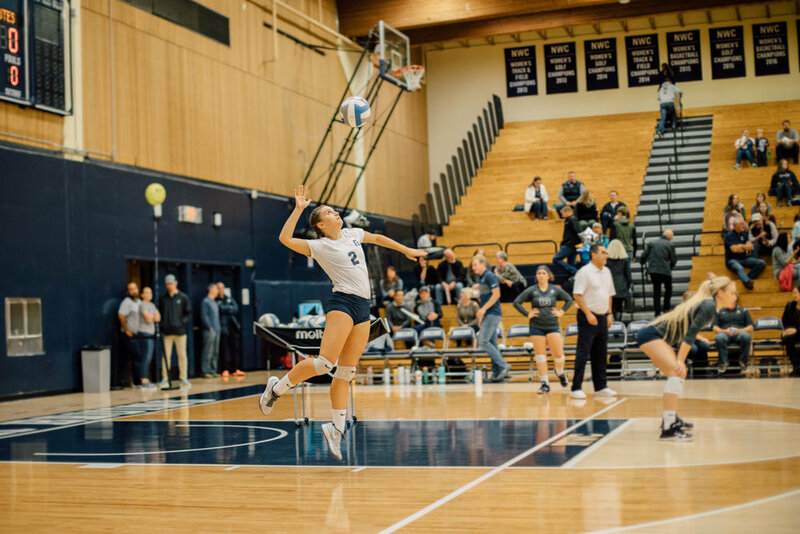 Sophia Lawrence, a freshman at George Fox University (GFU), was recently named the Northwest Conference (NWC) Women’s Volleyball “Defensive Student-Athlete of the Week.” This is her first honor by the conference office. Lawrence’s plays were critical in helping the Bruins continue their winning streak of five consecutive NWC games at the end of October. This came after a two-win weekend against Linfield College and University of Puget Sound where Lawrence tallied a total of 49 digs, 31 of which she made in the game against Linfield, a new career-high. The five conference game winning streak is GFU’s second longest since 2009. Before and after each game, the team prays together. Win or lose, they also invite their opponents to pray with them afterwards. Lawrence plays a large part in setting a standard of Christ-centered sportsmanship. “Her identity is not in her athleticism, it’s truly in her being a daughter of Christ, which is so cool to see in someone who is also really good at being an athlete,” Gallagher said. At the end of this season, the GFU women’s volleyball team went 8-11 overall and 7-8 in conference games. Aside from playing volleyball, Lawrence and Gallagher have put together a weekly worship and Bible study called “Lazarus.” It is held Wednesdays at 9:30 p.m. in the Foxhole and is open to anyone. They especially encourage freshmen to attend.